A new Ofcom report claims that the UK is one of the world's most advanced countries in terms of our digital communications. The average Brit sends more texts and watches more TV than people in many other countries, although we are not entirely sure quite yet if this is something we should be proud of! Annoyingly, we also have notably slower broadband than most of the rest of Europe, according to Ofcom. So while 88 per cent of UK households have a digital TV as their main set and Britain displays the highest average rise in TV viewing in Europe in 2008, up by 3.2% to 3.8 hours a day, we still have a paltry 10 per cent of households that can get broadband in excess of 8 megabits (Mbps) a second. Thankfully, we still do not 'match' our American cousins when it comes to time spent in front of the gogglebox - the average TV viewing over there being 4.6 hours a day, up 1.8% from 2007. 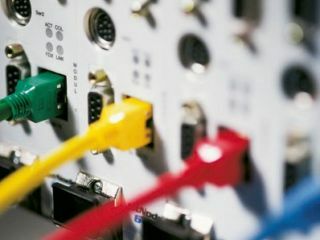 A recent report from the Organisation for Economic Co-operation and Development (OECD) placed the UK 21st out of 30 countries in terms of broadband speeds. The UK government recently pledged that everybody in the country will be able to access broadband speeds of at least 2Mbps by 2012 and that 90 per cent of Brits should get 50Mbps broadband by 2017.